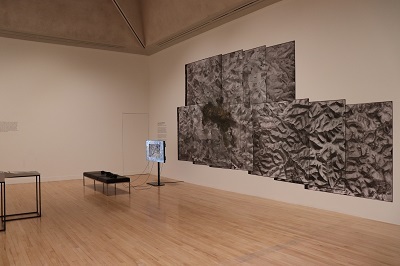 The Tate Britain presents an exhibition of work by the four artists shortlisted for Turner Prize 2018, the artists are Forensic Architecture, Naeem Mohaiemen, Charlotte Prodger and Luke Willis Thompson. Forensic Architecture presents its investigations surrounding the Bedouin communities of the Naqab/Negev region of southern Israel. The videos, photographs and other documentary evidence investigate the events of 18 January 2017, a day on which an attempt by police to clear an unrecognised Bedouin village resulted in the deaths of two people. 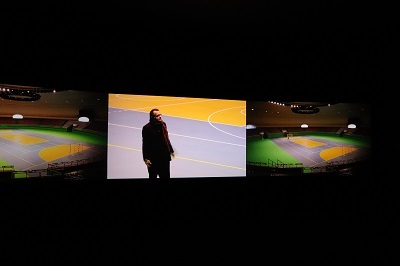 Naeem Mohaiemen’s films and installations bring together archives, photographs and interviews that explore ideas of hope and loneliness. 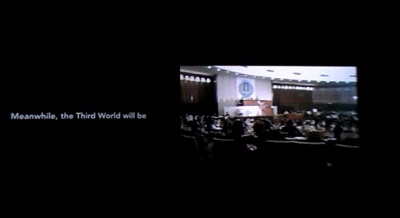 Two Meetings and a Funeral is a documentary film shown on three screens, centring on the power struggle between the Non-Aligned Movement and the Organisation of Islamic Cooperation in the 1970s. Tripoli Cancelled is Mohaiemen’s first fiction film, following the daily routine of a man who spends a decade living alone in an abandoned airport. 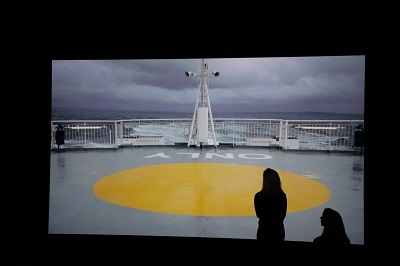 Charlotte Prodger presents Bridgit which filmed on an iPhone over the course of a year. 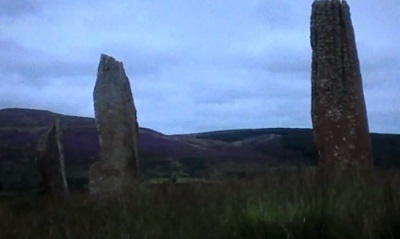 It is made up of recordings of the Scottish countryside as well as shots from inside Prodger’s home. Sounds from her environment are overlaid with a narration read by the artist and her friends including extracts from her diaries and books written by figures from queer history. 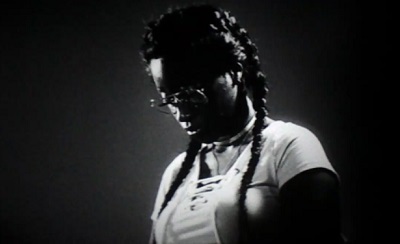 Luke Willis Thompson works across film, performance and installation. 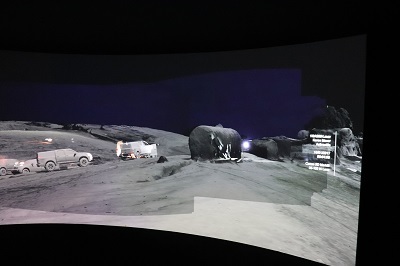 His films examine the relationship between a person and their representation. 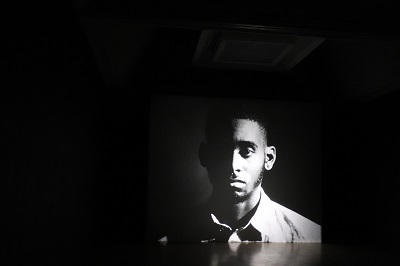 For the Turner Prize, Thompson presents a trilogy of works on 35mm film: Cemetery of Uniforms and Liveries, autoportrait and _Human. In these three films, Thompson reframes histories of violence enacted against certain people, and offers counter-images to the media spectacle of our digital age. Established in 1984, the Turner Prize aims to promote public debate around new developments in contemporary British art. The Prize is often controversial with critics and the public debating the old ‘is it art’ argument, however this year the debate is likely to be more about the lack of diversity with all the shortlisted artists working with the moving image and being ‘issue based’. All this debate often overshadows the works which in 2018 offer a very personal look into the modern world even if they are presented in wider contexts. 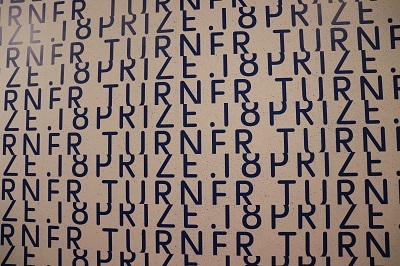 The Turner Prize is one of the world’s best-known prizes for the visual arts and the award fund is £40,000 with £25,000 going to the winner and £5,000 each for the other shortlisted artists. There will be a free entry to the exhibition for everyone aged 25 or under for the first 25 days of the show. The winner will be announced on Tuesday 4 December at an awards ceremony live on the BBC. By londonvisitors2014 in Exhibitions on September 24, 2018 .